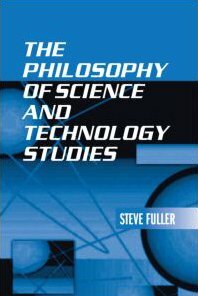 Steve Fuller has a reputation for setting the terms of debate within science and technology studies. In his latest book, New Frontiers in Science and Technology Studies he charts the debates likely to be of relevance in the coming years. *Should science and technology be treated as separate entities? *What impact has globalization had on science and technology? *Can science be clearly distinguished from other forms of knowledge? *Does the politicization of science really matter? *Is there a role for the social regulation of scientific inquiry? *Should we be worried about research fraud? These questions are explored by examining an array of historical, philosophical and contemporary sources. Attention is paid, for example, to the Bruno Latour's The Politics of Nature as a model for science policy, as well as the global controversy surrounding Bjorn Lomborg's The Sceptical Environmentalist, which led to the dismantling and re-establishment of the Danish national research ethics board. Science and Technology Studies is a flourishing interdisciplinary field that examines the creation, development, and consequences of science and technology in their cultural, historical, and social contexts. 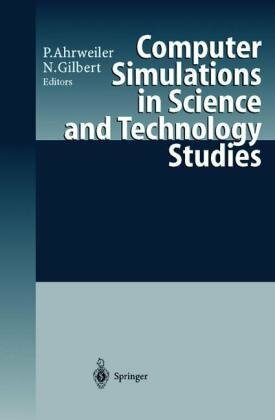 The Handbook of Science and Technology Studies provides a comprehensive and authoritative overview of the field, reviewing current research and major theoretical and methodological approaches and analyzing emergent issues in a form that is accessible to new and established scholars from a range of disciplines. 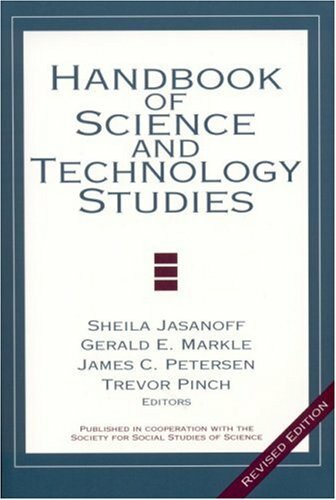 Handbook chapters review the dominant theoretical perspectives of S&TS, present the current state of research on a spectrum of topics in the field, analyze changes brought about by the commercialization of science, study interactions between science and other institutions, examine the role of experts and the public in scientific and technological decision making, and consider the cultural and social dimensions of new technologies. 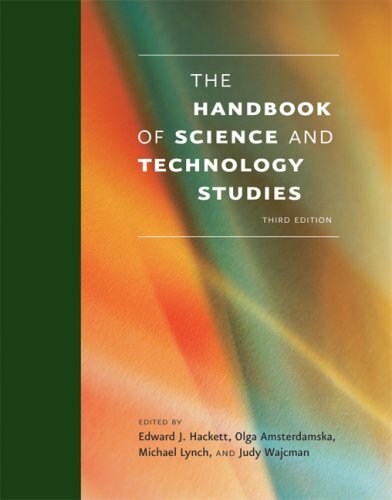 The Handbook of Science and Technology Studies is the third in a series of volumes sponsored by the Society for Social Studies of Science that have defined the field of Science and Technology Studies. It will be an essential resource for scholars in S&TS as well as for those in such neighboring disciplines as anthropology, history, philosophy, sociology, law, political science, feminist and critical theory, and literary studies. 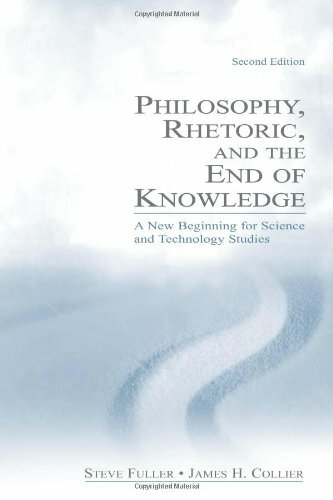 In this second edition of Steve Fuller's original work Philosophy, Rhetoric, and the End of Knowledge: A New Beginning for Science and Technology Studies, James Collier joins Fuller in developing an updated and accessible version of Fuller's classic volume. The new edition shifts focus slightly to balance the discussions of theory and practice, and the writing style is oriented to advanced students. It addresses the contemporary problems of knowledge to develop the basis for a more publicly accountable science. The resources of social epistemology are deployed to provide a positive agenda of research, teaching, and political action designed to bring out the best in both the ancient discipline of rhetoric and the emerging field of science and technology studies (STS). The authors reclaim and integrate STS and rhetoric to explore the problems of knowledge as a social process--problems of increasing public interest that extend beyond traditional disciplinary resources. In so doing, the differences among disciplines must be questioned (the exercise of STS) and the disciplinary boundaries must be renegotiated (the exercise of rhetoric). This book innovatively integrates a sophisticated theoretical approach to the social processes of creating knowledge with a developing pedagogical apparatus. The thought questions at the end of each chapter, the postscript, and the appendix allow the reader to actively engage the text in order to discuss and apply its theoretical insights. Creating new standards for interdisciplinary scholarship and communication, the authors bring numerous disciplines into conversation in formulating a new kind of rhetoric geared toward greater democratic participation in the knowledge-making process. This volume is intended for students and scholars in rhetoric of science, science studies, philosophy, and communication, and will be of interest in English, sociology, and knowledge management arenas as well. 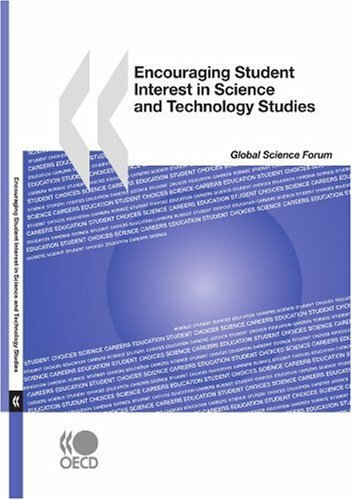 This volume provides a roadmap to the complex interdisciplinary terrain of science and technology studies. 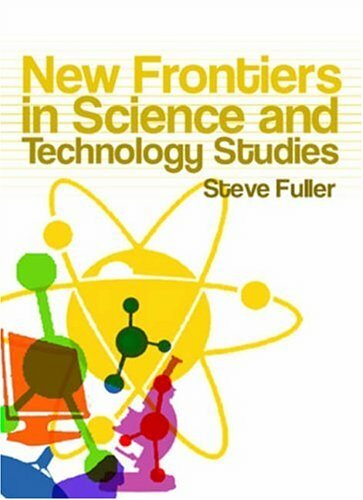 Provides an accessible overview of science and technology studies. 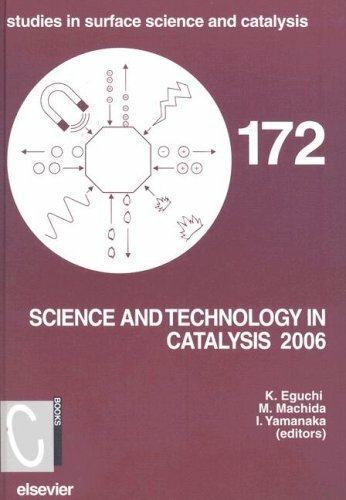 Features numerous empirical studies and illustrative examples. Focuses on the central debates and key theoretical advances. 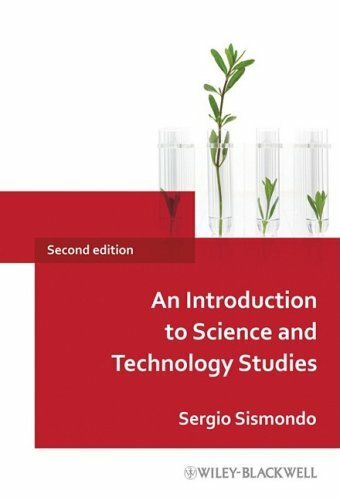 Includes topics such as realism and social construction, discourse and rhetoric, objectivity, the role of experiment and theory, controversies, and the critique of science and technology. This book is full of words. The words are not at all meant to improve society or science. The words are supposed to problematise science and technology. The basic idea is that science and technology are manmade ideas. On one level we can all agree on this fact. However, the Science & Technology studies field is stuck on this idea and they show it over and over again with qualitative studies. Nothing wrong with qualitative studies, but there comes a point where quantification can help. I would like to know what factors determine if a science is more or less socially constructued. I would like to have the term socially constructued defined in much more detail. It is not an either or construct. Time for the field to progress and find some new research questions. That is unlikely to happen anytime soon because the authors in the field do not believe in progress, quantification and they seem to hate building on each others' work in any detail. This can clearly be seen by people reading this review and giving it negative feedback. Stay far away is my recommendation. And for those who don't, keep the negative votes coming. fantastic integration of the field! Sismondo's introduction to the field is concise and highly readable, dealing with an enormous amount of literature in a short and well-organized manuscript.Unlike the other handbooks in S&TS which collect case studies like "best of" albums, Sismondo's book walks the reader through complex historical and intellectual moments in the field.His coverage is even-handed, though not bland or superficial.I read this book in preparation for job interviews in S&TS, and it was a perfect refresher that crystallized what I had learned in 6 years of grad school.I will definitely use it when I teach S&TS courses at both undergraduate and graduate levels. Simply the Best Concise Introduction to STS Available Today! 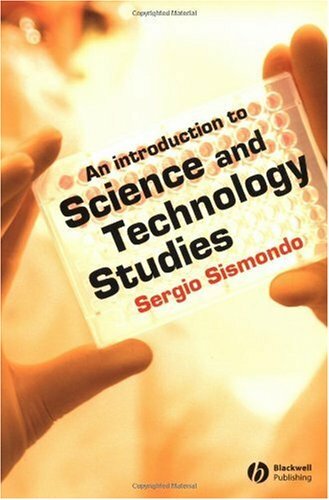 Science and Technology Studies is a complex field of research with a century long history involving numerous disciplines.The problems the field deals with are often complex and technical.That Sismondo managed to pack practically every major debate into such a concise book, is almost a superhuman achievement.The book covers philosophical issues such as falsificationism and the Duhem-Quine thesis, as well as examining positivism and other epistemological positions.The whole range of sociological contributions over the past three decades, and also feminist contributions, are presented clearly and illustrated with examples.The author also critiques all the major arguments in the field, showing that each has problems, and that the debate continues.This is simply the best concise introduction to STS currently available.It is an invaluable aid to teaching (I use it in my own class "Introduction to STS" at the University of California, Davis).Yet it should not be thought of simply as a textbook.It is so lucidly written that it will give any educated reader a solid understanding of the field of STS. Now six chapters into this book, I can honestly say I'm considering ripping my eyes out.This is a painful read, although it's entirely possible I lack the ability to process someone else's philosophical ramblings. #1) This is not an introductory text.This book presumes you have a background in philosophy and also presumes that you think exactly like Sismondo.There's no effort here to make things comprehendible; he communicates without revision.Ironically, the best chapter is the one Sismondo suggests you skip (and I suspect it is written by someone else). #2) This book is poorly edited.I bet the editor did not understand most of the content (or at least the way Sismondo explains the content), which is why some sentences lack proper structure -- making the book even more confusing.It almost appears as if the editor gave up. #3) There is no context here to explain the greater meaning of S&TS. As the field of Science and Technology Studies (STS) has become more established, it has increasingly hidden its philosophical roots. While the trend is typical of disciplines striving for maturity, Steve Fuller, a leading figure in the field, argues that STS has much to lose if it abandons philosophy. In his characteristically provocative style, he offers the first sustained treatment of the philosophical foundations of STS and suggests fruitful avenues for further research. 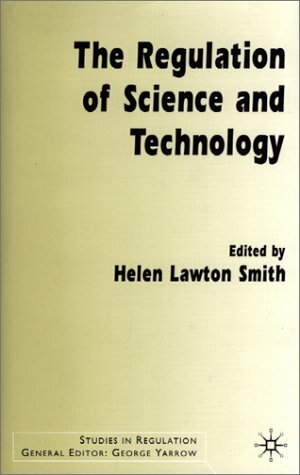 With stimulating discussions of the Science Wars, the Intelligent Design Theory controversy, and theorists such as Donna Haraway and Bruno Latour, Philosophy of Science and Technology Studies is required reading for students and scholars in STS and the philosophy of science. Invaluable guide to the underpinnings, methods of science. 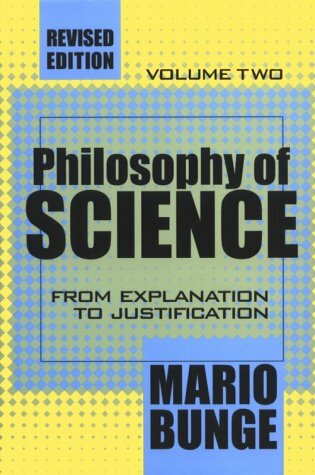 Since the late 1950s, Mario Bunge emerged as a leading figure of what I call the "scientific humanist" project. This project aims to radically rethink the barren Kantian solution to combining the fruits of reason with experience; thus Bunge calls his new orientation ratio-empiricism. Scientific humanism is rational on the basis of rigorous consistency and imagination-based theorization and experiential by reliance on testing and the essentiality of matter and social life. Born in Argentina in 1919, Mario Augusto Bunge was trained as a theoretical physicist. He is the Frothingham Professor of Logic and Metaphysics at McGill University in Montreal, which he joined in 1966 and will retire from in 2009. He earned his PhD degree at the age of thirty-three, in physico-mathematical sciences at the Universidad Nacional de La Plata in 1952. Yet, physics is no more than one chapter out of many in his encyclopaedic scholarly life. For example, when he was a teenager his first intellectual loves were Hegel and psychoanalysis. However, Bunge states that reading Bertrand Russell cured him of his love of psychoanalysis, and studying mathematical logic corrected his erstwhile inclination to Hegel and Marx. This new philosophical orientation, Bunge says, "pushed me into physics, [...] and I continued to read philosophy on the side." This background and his powerful enthusiasm enabled him to craft the monumental nine-part (Treaties on Basic Philosophy), which is the first modern project to systemize the totality of contemporary philosophy since the medieval-Aristotelian system. In addition, his vast background made it possible for him to produce, amongst many other titles, Philosophy of Science, Foundations of Physics, Philosophy of Physics, Foundations of Biophilosophy, The Mind-Body-Problem, Finding Philosophy in Social Science, Philosophy of Psychology, Political Philosophy, and his Philosophical Dictionary. These outstanding contributions to knowledge resulted in him receiving sixteen honorary doctorates and four honorary professorships. Thus, it is not an exaggeration to state that no real-world science is alien to Bunge, because he has done serious works in fields ranging from physics to philosophy, linguistics to logic, biology to psychology, and sociology to political science. "The unifying thread of his scholarship is the constant and vigorous advancement of the Enlightenment project contrary to the cultural or academic movements that works to undermine it," (Michael R. Matthews). Such extraordinary philosophical background makes Bunge an exceptional philosopher in every aspect; hence, his philosophy criticizes systematically major current philosophical doctrines, e.g., empiricism, pragmatism, intuitionism, phenomenology, Marxism, hermeneutics, and logical positivism. In fact, Bunge himself admits that his philosophical orientation comes from a system of viewpoints, including materialism, scepticism, realism, scientism, systemism, and humanism. A brief sketch of Bunge's carefully synthesized philosophical doctrine can be seen in his Social Science Under Debate, where he calls for " objective and relevant fact-finding,  rigorous theorizing,  empirical testing, as well as  morally sensitive and  socially responsible [philosophy]." The first principle, objective and relevant fact-finding, refers to his lifetime advocacy for a naturalist ontology that strives to explore reality as objectively as possible. This position came as a result of his critique of Berkeley-Hume-Kant subjectivism and phenomenalism, which denies the ability to know reality in itself. In particular, Bunge adopts the Aristotelian view that the "external world exists independently of our sense experience and ideation and that it can be known, if only in part." The second principle, rigorous theorizing, refers to the continuation of the heritage of analytical philosophy as conceptualized in two notions, i.e., linguistic clarity and mathematically precise reasoning. The third principle, empirical testing, builds on the massive accumulation and ramification of natural science and technology, where measured testing along with compatibility with the factual-formal body of knowledge is the criterion for the acceptance of new hypotheses. The fourth principle, moral sensitivity, reflects his argument for the existence of cross-cultural basic values and his universalistic stance on mutual human duties and rights. Finally, socially responsible philosophy reveals his repugnance for conservative and neo-liberal politics. This abbreviated pentagonal presentation of Bunge's philosophical orientation is necessary to understand the general horizon of his scientific humanism. Perhaps it is no oversimplification that Bunge's orientation is a major key to his success and prolificacy. It is a well-rounded and well-balanced strategy benefiting form a great variety of new findings and clear ideas. Bunge's (Treaties on Basic Philosophy) stands as his major achievement. It encompasses a quadrivium which he considers "the nucleus of contemporary philosophy", namely, semantics (theories of meaning and truth), ontology (general theories of the world), epistemology (theories of knowledge), and ethics (theories of value and right action). For approximately two decades, Bunge engaged in writing his magnum opus in order to investigate and synthesize contemporary philosophy in a single grand system that is compatible with the advancement of modern human knowledge both scientifically and philosophically. Part I. Formal and Physical Sciences. Dordrecht: Reidel, 1985. Part II. Life Science, Social Science and Technology. Dordrecht: Reidel, 1985. All of these 8 volumes in 9 parts are currently in print, available under the Springer-Verlag imprint. However, some readers might be discouraged to read such a mammoth work. Therefore, the following books serve as simple and very introductory to his thought, particularly the second. The third is advanced but in a selected essays format. - Scientific Materialism. Dordrecht: Reidel, 1981. - Philosophy in Crisis: The Need for Reconstruction. Amherst, NY: Prometheus Books, 2001. - Scientific Realism: Selected Essays of Mario Bunge. Ed. Martin Mahner. Amherst, NY: Prometheus Books, 2001. For readers who demand more specialized works, Bunge's writings on the social sciences and psychology (which came after the Treatise on Basic Philosophy) are of the highest relevance to students of the humanities. - Finding Philosophy in Social Science. New Haven, Conn: Yale University Press, 1996. - Social Science under Debate: A Philosophical Perspective. Toronto: University of Toronto Press, 1998. - The Sociology -Philosophy Connection. New Brunswick, NJ: Transaction Publishers, 1999. - Vol. VIII: Ethics: the Good and the Right. Dordrecht: D. Reidel, 1989. - Political Philosophy: Fact, Value, and Vision, New Brunswick, NJ: Transaction Publishers, 2008. - The Mind-Body Problem: A Psychobiological Approach. Oxford and New York: Pergamon, 1980. - Philosophy of Psychology. with Ruben Ardila. Berlin, Heidelberg: Springer-Verlag, 1987. 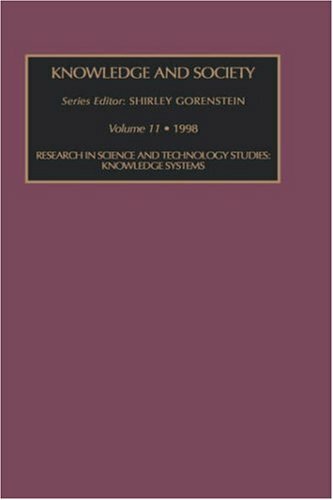 Of course Bunge is in a distinguished position among current thinkers in the domain of philosophy of science as seen in the following, particularly, the first two-volume work. - Scientific Research I: The Search for System. (Heidelberg- New York: Springer-Verlag, 1967, 1973). Rev. ed. 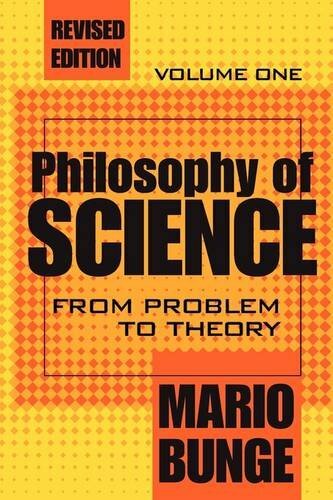 Philosophy of Science: From Problem to Theory. Vol. 1 New Brunswick, NJ: Transaction Publishers, 1998. - Scientific Research II: The Search for Truth. (Heidelberg- New York: Springer-Verlag, 1967, 1973). Rev. ed. Philosophy of Science: From Explanation to Justification. Vol. 2 New Brunswick, NJ: Transaction Publishers, 1998. - Critical Approaches to Science and Philosophy. ed. Transaction Publishers, 1964. Reprint, 1998. - Foundations of Biophilosophy. with Martin Mahner. Berlin, Heidelberg: Springer-Verlag, 1997. - Philosophy of Physics. Dordrecht: Reidel, 1973. - Method, Model and Matter. Dordrecht, Reidel, 1973. - Foundations of Physics. Springer, 1967. - The Myth of Simplicity. N.J.: Prentice-Hall, 1963. - Intuition and Science. N.J.: Prentice-Hall, 1962. - Metascientific Queries. Charles C. Thomas,1959. - Causality: The Place of the Causal Principle in Modern Science. Cambridge, MA: Harvard University Press, 1959. [Dover Reprint, 1979? ], Rev. 4th ed., Causality and Modern Science. New Brunswick, NJ: Transaction Publishers, 2008. Bunge's newest reflections on scientific metaphysics are also of exceptional importance as it places him in the great lineage of radical and universalist philosophers from Plato and Aristotle, to Desecrate, Hume, and Kant. - Chasing Reality: Strife over Realism. Toronto: University of Toronto Press, 2006. - Emergence and Convergence: Qualitative Novelty and the Unity of Knowledge. Toronto: University of Toronto Press, 2003. - Treatise on Basic Philosophy, VIII: Ethics: the Good and the Right. Dordrecht: D. Reidel, 1989. - Philosophy of Science: From Problem to Theory. Vol. 1 New Brunswick, NJ: Transaction Publishers, 1998. - Philosophy of Science: From Explanation to Justification. Vol. 2 New Brunswick, NJ: Transaction Publishers, 1998. I have to note that Bunge's philosophical dictionary offers a precise and well defined alphabetical account of how he sees the world of philosophical concepts. It is not an account of the philosophical concepts as they occurred in history but rather a correction and redefinition of major philosophical concepts, i.e., a glossary of Bungeisms. - Philosophical Dictionary. 2d enlarged ed. Amherst, NY: Prometheus Books, 2003. - Quantum Theory and Reality: Studies in the Foundations Methodology and Philosophy of Science. - Delaware Seminar in the Foundations of Physics, Springer-Verlag, 1967. - Problems in the Foundations of Physics. Springer-Verlag, 1971. - Exact Philosophy: Problems, Tools, and Goals. D. Reidel, 1973. - The Methodological Unity of Science. Springer, 1973. - Paul Weingartner and Georg Dorn (eds. ), Studies on Mario Bunge's Treatise. Amsterdam-Atlanta: Editions Rodopi, 1990. - Joseph Agassi et al (eds. ), Scientific Philosophy Today: Essays in Honor of Mario Bunge. Reidel, 1982. - Michael R. Matthews, "Mario Bunge: Physicist and Philosopher," Science & Education 12: 431-444, Kluwer Academic Publishers, 2003. - 100 Ideas. Buenos Aires: Sudamericana, 2006. - Mitos, Hechos y Razones. Buenos Aires: Sudamericana, 2004. - Ser, Saber, Hacer. Mexico City: Paidos-Universidad Nacional Autonoma de Mexico, 2002. - La science, sa Methode et sa Philosophie. Internet, 1996. - Intuition et Raison. Internet, 1996. - Ciencia y Desarrollo. Siglo Veinte, 1980. ** I gratefully thank Professor Martin Mahner and Dr. Michael Kary for corrections and useful suggestions that helped to improve the original manuscript. This is the first book in Philosophy of Science I have read. I may rate this too high but I think it helps me understand the whole picture. 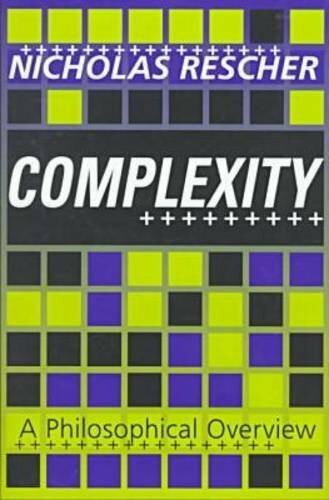 I was enthused to discover this book when I did because it appeared to present complexity at precisely the level I was hoping for: as a philosophical and practical concept not necessarily dependent upon difficult mathematics or theory.I dove in, and it was fairly challenging reading.The tragedy of this book is that the topics and many of ideas offered-up appeal a great deal to my intellect, but the astonishingly poor editing is a significant distraction.There are cases of material repeated verbatim, painfully obvious typographic errors, and an insufficient degree of conciseness overall.It seems as if the book was under-funded, over-rushed or simply assigned the wrong editor.It is indeed a shame, since discussions such as why the growth of science may not have an inherent limit, but may be limited by resources are interesting.I also enjoyed the taxonomy of complexity.It has allowed me to consider, with greater subtlety, the complexity in the systems with which I work, and alternatives to manage it. I would give the ideas in this work 4 or 5 stars, but the lack of effective editing make this a difficult read. Sorry, but I don't want to review Prof. Rescher's book. Instead, I just want to give you information about a "misprint" in his book: Unfortunately, on page 164, note 6 a paper of mine is citedincorrectly.